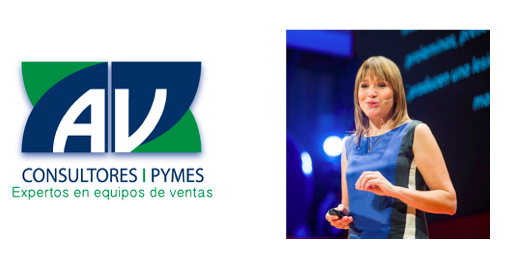 Interview with Alicia Verna, Founder & CEO of AV Consultores PYMES. Alicia Verna, Founder & CEO of an Argentinian consultancy for SMBs - AV Consultores PYMES - has been our customer since the early Beta of our lead management software, back in 2013. AV Consultores PYMES specializes in helping SMBs all over Argentina become better at selling. Not only do Alicia and her team work with sales teams to empower them concerning sales techniques, but they also recommend the best tools to make their daily work more efficient and reach their goals. Our relationship with Alicia is special, because not only is she our customer and has helped us improve our service with beneficial recommendations but also because she became our partner, recommending our service to her own customers. In the interview she kindly agreed to do, Alicia explained to us why. no CRM.io: Alicia, thank you for taking the time. You have been our customer for a while now. Why did you choose our service to manage your leads? Alicia: Yes, we have been working with no CRM.io since it’s the beta version, in 2013. We were looking for a system that would help us have a better follow-up of our prospects, know their origin and be able to measure the efficiency of every consultant precisely. Furthermore, we needed to be able to register our meetings with our customers and follow-up with hem. With no CRM.io we were able to do all that: focus on prospecting and follow-up on our existing customers. Today, we have clear and precise statistics thanks to the categories and tags that the system enables us to set up. Also, we now have a clear forecast of our sales. With no CRM.io we were able to do all that: focus on prospecting and follow-up on our existing customers. no CRM.io: Great! We’re very happy to hear that. And because you have a consultancy that specializes in helping SMBs strengthen their sales department, you have also recommended our system to many of your clients. Why us? Alicia: Absolutely. We tried it out ourselves and liked it so much for its simplicity that we started implementing it for our customers too. The most important aspect for us was to offer a solution to our customers that was intuitive and easy to implement for new sales teams. We work with different sizes of SMBs: some are still creating their companies, others already have over 10 salespeople working full-time. Our goal is to help them become better at selling, and for that they need coaching, they need to reinforce their strategies, but also tools that help them in their daily activities. And we believe You no CRM.io is a great tool in many cases. no CRM.io: When do you suggest our tool? To what type of SMB? Alicia: Mainly in two cases. Firstly, to very small businesses, when there’s a still a need to formalize sales and map a sales process; rearrange and segment contacts, and establish a follow-up methodology to prepare the company for growth. Secondly, to bigger sales teams (with 3 to 10 salespeople). Most of the times we deal with people who are not ready for complex CRM systems, so we needed something easy, that they would be able to implement and adopt in 24h to 48h. With no CRM.io, that was possible. no CRM.io: Great. Thank you. And what’s the motivating factor to use our system? How do you “sell it” to them? Alicia: Well, it’s quite simple. Your system sends us daily reports with clear numbers ($$$). Money is what motivates a salesperson, and if the salesperson is motivated, then the owner of the company or the sales manager will be motivated too to follow-up on the salespeople’s activity. But that’s not all. I’m happy to tell them my experience with you: open to suggestions, take them into account and implement our requests, we get to communicate in Spanish, and it’s people talking to us, not a robot. They love that. no CRM.io: Well, that’s quite flattering! Thank you. Anything else you want to add? Alicia: To sum up, we use it and recommend it to SMBs because it’s extremely easy to implement, it offers e-mail and calendar synchronisation, and makes sure we keep up with our sales activity. no CRM.io: Thank you very much for your time, Alicia. We really appreciate it. You have a SMB and need a simple tool to manage your leads? You want to be more efficient & close more deals? Try no CRM.io Start your 15-day free trial now!